preview: DIY Popsicle Holder Craft! Freezing little fingers? 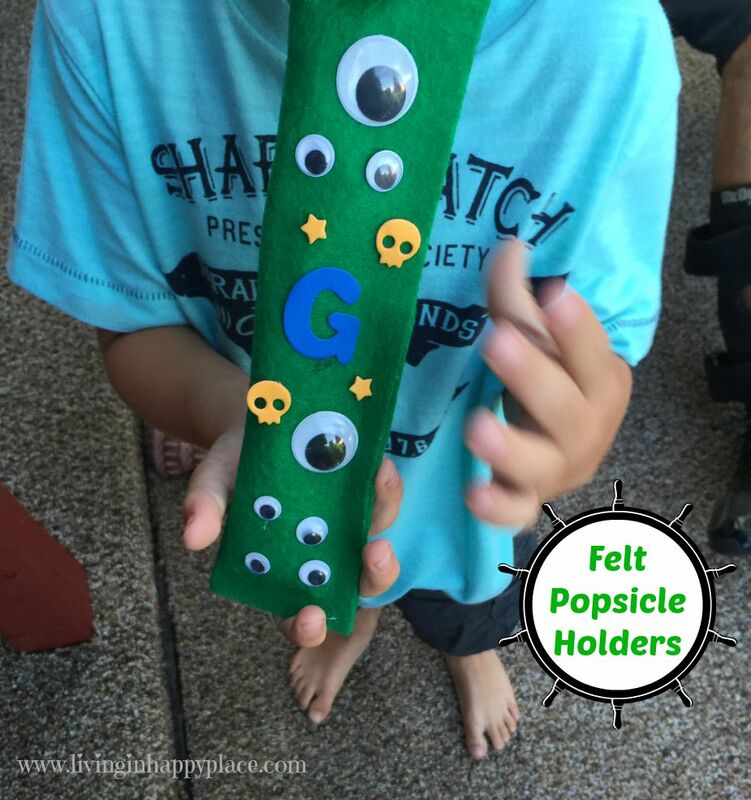 Try this easy to make DIY Popsicle holder to save little hands from freezing while they enjoy their chilly treat! 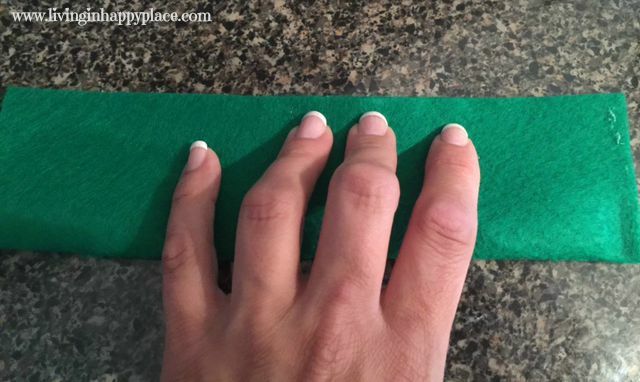 No more frozen finger with these easy DIY popsicle holders! Celebrate with the traditional summer popsicle- without the icy hands. Make your ice pops nice and cozy with this Popsicle holder idea! DIY Popsicle holders save frozen fingers! Freeze Pop, Ice Pop, Popsicle- everyone calls them something different (brand names vary) but you know which ones I mean, right? The long, frozen stick ones that come in a package of like 200?! Every time I hand one of these to my toddler, I think about her frozen fingers! I wanted to make something simple to keep her hands from freezing but still let her have this treat that I remember so fondly. With some felt and a glue gun, I can conquer anything! This is a super easy, no-sew, DIY idea that costs less than 25 cents! Grab some felt and a hot glue gun and make this a fun mommy-and-me summer craft! Turn on the glue gun so it is nice and hot when you need it! 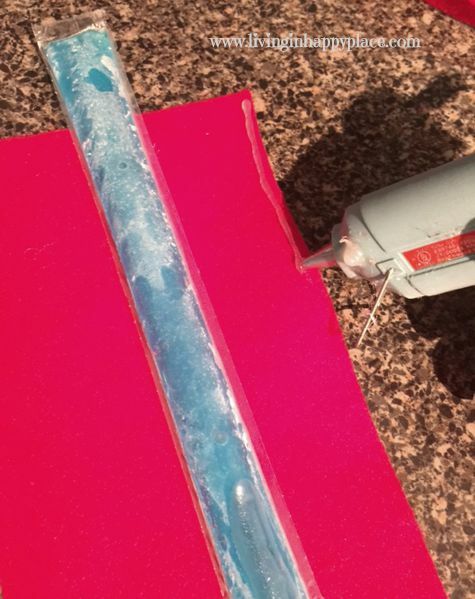 Start by laying the felt flat and placing a freeze pop (popsicle, etc.) on top. 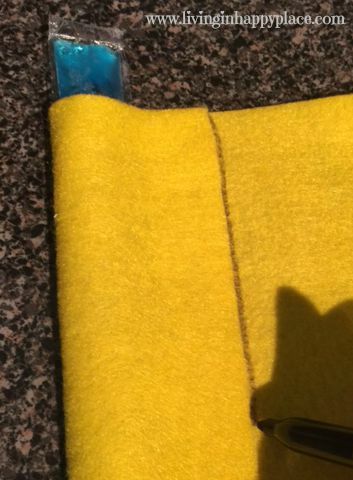 Fold the felt over to measure the amount needed to cover the freeze pop (see photo). Be sure to leave enough room for the glue! Allow the glue to cool and then let the kids decorate! 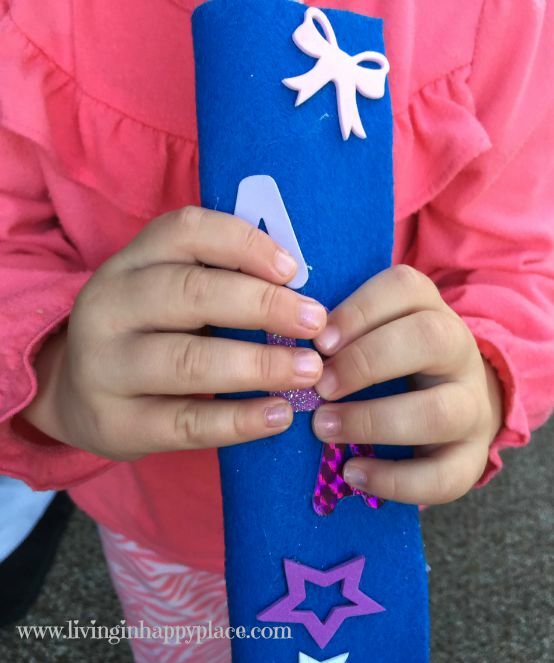 This is a fun craft to let them personalize with their name, favorite colors, characters, stickers- whatever craft supplies you have lying around! I started out trying to solve a small problem and ended up being able to do a fun craft with my daughter. 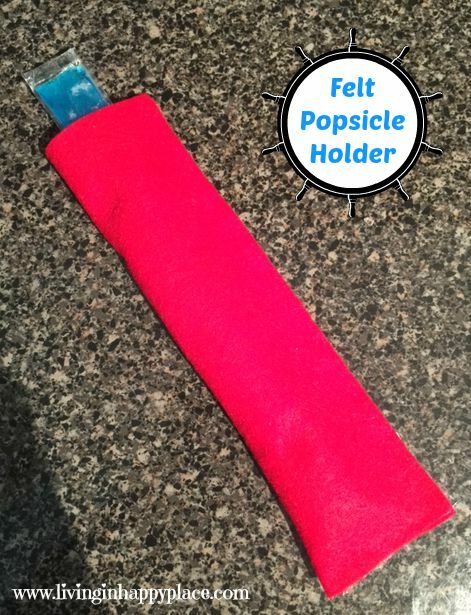 Since felt is so inexpensive and you probably have the other supplies lying around, you can make frozen popsicle holders for about 25 cents each! This is a great activity for kid’s parties or cook-outs! How does the idea of the happiest, stress-free summer with your kids sound? It’s possible. 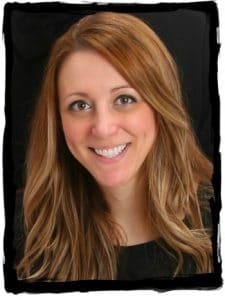 Get your Summer Survival Guide for Moms and spend your summer making memories that last forver! Looking for another simple craft? How about Paper Roll Necklaces! Now you have a fun Mommy & Me activity to craft together while you bore your child with stories of your childhood 😉 Don’t you wish you had a popsicle holder as a kid? !